Capcom's biggest title of the summer, Lost Planet 3, has been delayed from its June 26 release date until August 27 in America. Originally scheduled to be released in early 2013, this is the second time the game has seen its launch date slip. Capcom stated the game had been delayed for "business reasons," indicating that Spark Unlimited could already be completed with the game. Remember Me, their newest IP, will also launch in June, and Capcom has stated they want it to be a big franchise. No doubt they are clearing the schedule for as little competition as possible. 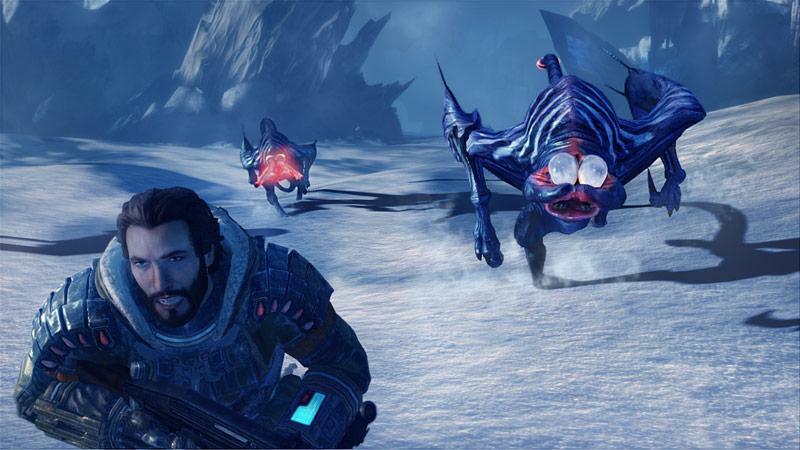 Lost Planet 3 is the first game in the series to be developed outside of Japan. It will return gamers to the icy planet of the first game, only this time they plan on telling a more mature storyline with less flare and robots. Lost Planet 3 will be released on the PlayStation 3, Xbox 360 and PC on August 27. This April Bitterblack Isle welcomes brave adventurers to its shores for a chance to explore its underground realm with the release of Dragon's Dogma: Dark Arisen. The next chapter in the Dragon's Dogma franchise, this title not only contains all of the content from the original game but delivers a brand new area, missions, enemies and more. Dragon's Dogma: Dark Arisen will be available in North America on April 23 and across Europe on April 26. Fancy a week away on a luxury cruise liner? The race is on to survive the horrors of Resident Evil Revelations when the game sets sail on Xbox 360, PlayStation 3, Wii U and PC. Featuring the all new Wall Blister enemy, Infernal difficulty mode and additional characters in Raid mode, gamers will be able to face the fear on-board when Resident Evil Revelations launches in North America on May 21 and in Europe on May 24. Enjoy a taste of the future with a trip to Neo-Paris when Remember Me releases on June 4 in North America and June 7 in Europe. Available for Xbox 360, PlayStation 3 and PC, this action adventure title delivers innovative memory gameplay mechanics and highly customisable combat set against a stunning vision of Paris in 2084. Let Capcom transport you to a mythical land and take away those everyday stresses with the digital release of Dungeons & Dragons: Chronicles of Mystara in June for PlayStation Network, Xbox LIVE Arcade, Wii U e-shop and Windows PC. The original arcade titles from Capcom, Dungeons & Dragons: Tower of Doom and its sequel Dungeons & Dragons: Shadow over Mystara come together in this release with updated HD graphics and a wealth of enhancements, including drop in and out four player online co-op battles powered by GGPO. This summer, set off on an around the world first class adventure with the digital release of DuckTales Remastered on Xbox LIVE Arcade, PlayStation Network and Wii U. Taking its cue from the Disney cartoon series of the same name, DuckTales Remastered follows the adventures of Scrooge McDuck around five different themed worlds. Originally released in 1989 the title returns with beautifully re-created hand-drawn animated sprites, across a backdrop of luscious, re-envisioned level backgrounds. For the more adventurous traveller why not embark on the trip of a lifetime to E.D.N. III. Admire the vast scale of the planet and brave the extreme and unpredictable conditions as Lost Planet 3 arrives on August 27 in North America and August 30 in Europe. The Lost Planet series returns harsher than ever before for Xbox 360, PlayStation 3 and Windows PC. Ensure you've had your inoculations if departing on this action adventure as there's a constant fear of an indigenous Akrid attack.